All the vehicles directly imported by discount city cars have an aa certified odometer. We are confident of the quality of all our vehicles at Discount City Cars. All of our Vehicles are serviced in our own workshop before delivery and all of our direct imports have an AA Certified Odometer and have been AA Safety Certified for your peace of mind. AA pre-purchase inspections are available upon request and we can offer extended mechanical warranties on all vehicles sold. The New Zealand Automobile Association has entered into a Joint Venture with JEVIC to protect consumers against odometer fraud and fully endorses the JEVIC Odometer Inspection process. The authenticity of a vehicle's mileage is an important part of buying a Japanese imported vehicle. JEVIC's inspection consists of a forensic examination subject to removal of the odometer unit, diagnostic testing, and examination of vehicle condition. Available maintenance records and documents are finally cross-checked on a national database. 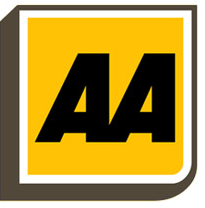 Once a vehicle passes inspection, a recognizable AA sticker is placed on the front windscreen identifying it as having an authentic odometer reading. Also issued is an original Certificate of Inspection. To further guarantee the highest standard of technical ability and quality assurance is maintained, JEVIC have achieved ISO/IEC 17020:1998 accreditation recognized internationally, specifically for Odometer Inspections.